Luxury at 5333 Connecticut isn’t just for the human residents. Pets are a priority too. Furry friends are just as much a part of the community as the non-furry ones. Chevy Chase, D.C. is a great area to take your pup for a walk down the beautifully tree-lined streets. Sit at an outside cafe with your pooch, and enjoy a coffee for yourself and a treat for them. 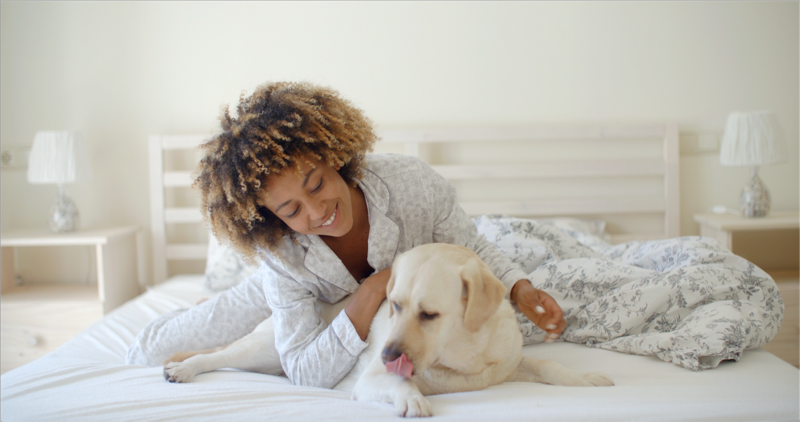 Or, stay at your beautifully designed home at 5333 Connecticut and let your pets take a quick nap near the sun-flooded, floor-to ceiling windows in your home. When they need some exercise, take your dog up to the green rooftop dog walking area. Nothing better than great views for you, while your best friend has space in the city to run and play. Grooming and any pet care services you need done, we’ve got that under control as well — just one of the many special services we offer at 5333 Connecticut. So bring your dog, cat, snake, or iguana to 5333 Connecticut. We have a place for them and you.